If you live in the Twin Cities, chances are you are blown away by all the results when searching for ‘Fence Companies Near Me’. So, what should you look for? And how do you choose? Arrow Fence Co is a Fence Company near Minnesota, we are located in the Twin Cities and would like to help you select the perfect fence for your property and company for the installation. Licenses/Insurance – A Residential Building Contractor (RBC) License is needed for a professional company hired out to build a fence. Arrow Fence Co. has a license number of R69146. We are also insured to verify the safety of our workers and our clients. Industry Experience – There are many projects you could get away with hiring a rookie. It may not be your first option but if you are looking for a discount, it may be a good way to go. However, Fence Installation is NOT the place for a rookie. 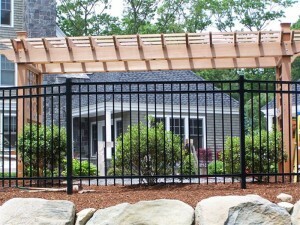 Arrow Fence Co. has over 50 years of experience installing fences in Minnesota. We also offer a 5-year warranty to back up our work. Reviews – Yes, proper licenses, insurance and years in the industry are important but if a company has all of that but has bad reviews all over the internet; it might be a good time to check into more Fence Company options near you. Arrow Fence works hard to please our customers and it shows on both our Google Reviews & Facebook Reviews! Check them out! Communication – No matter what the industry, time or place; communication is key! How does one tell if a company has good communication from the start? They answer, call back and address all your concerns before the week’s end. 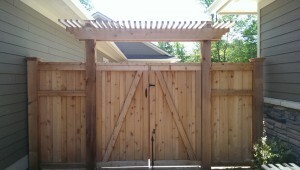 There is no reason you should wait to discuss your visions of a new fence addition. Our company makes every effort to be there for our client’s; from the first call to the 5-year warranty. Product Selection – If a company does not offer the fence you picture in your yard, then it is time to move on to the next company! It is also equality important that the fencing products are durable enough to withstand the harsh Midwest climate. Here, at Arrow Fence we have never had a potential client not be able to find the perfect fencing products and we only offer the most durable selections! Choose Arrow Fence Co in Minnesota when searching for ‘Fence Companies Near Me’. Fill out our Online Form anytime to schedule a Free on-site estimate or call us during business hours at (763)755-0088. Could you give me a quote We have a 100 feet property. Looking for a solid white vinyl fence, 13 panels, 14 post with caps.